Munnar got its name from its strategic location at the confluence of three rivers – Muthirapuzha, Nallathanni and Kundala Rivers. 'Moonu' means 'three' and 'Aru' means 'river'. The region is placed at a height of around 1,500 m to 2,695 m above sea level and was once the summer capital of the British in South India. Later it was developed for cultivating tea plants. 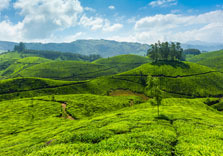 The beautiful sights of acres and acres of lush green tea plantations will make us realize that we have at last reached Munnar and of course the place is so much known for its tea estates. It always carries the remnants of history of tea cultivation in Kerala. Neelakurinji or Strobilanthus has special status in the tourism map of this fascinating destination. The flower which blooms once in twelve years attracts lots of tourists from all over the world. Eravikulam National Park and the Nilgiri Tahr is considered to be the icon of tourism in Munnar. The national park is also famous for its Neelakurinji population. In 2006, the place witnessed the rush of tourist both domestic and international to sight the rare flowers. Now we have to wait till 2018, to watch the same rush, to see the gorgeous blooming of the flowers after long 12 years. At this place, you can witness the highest peak in South India, Anamudi. A trekking to this peak will no doubt energise you. When you stand yourself on the top of this peak, you will feel that you are standing very close to the sky and very soon you can touch the sky. The lovely Devikulam Lake; Kolukkumalai (the highest tea plantation in the country); the waterfalls like Lakkam, Attukal, Nyayamakad, Chinnakkal, Kuthumkal, Cheeyapara, Valara and Thoovanam; the 'cattle village' or Mattupetty etc makes Munnar the abode of nature. For shopaholics, this destination is a heaven – whether tea or spices. You can collect various spices from here like ginger, cardamom, pepper, cinnamon, coffee, clove, nutmeg etc. Don't miss the homemade chocolates here. Enjoy the white, dark, liqueur filled and chocolates with nuts. 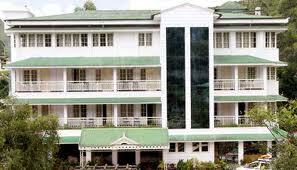 Munnar is blessed with lots of resorts and hotels, which will cater all your needs. 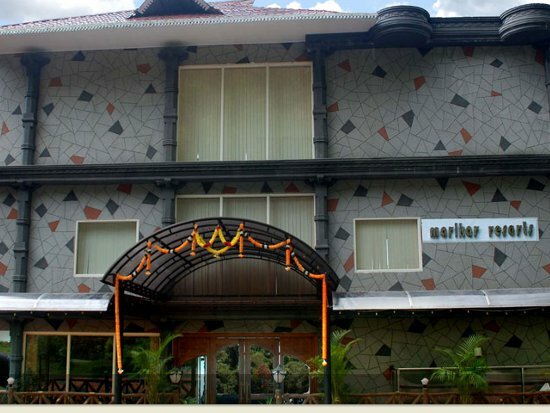 Among these resorts you can also find affordable and cheap hotels, which suits you the most. 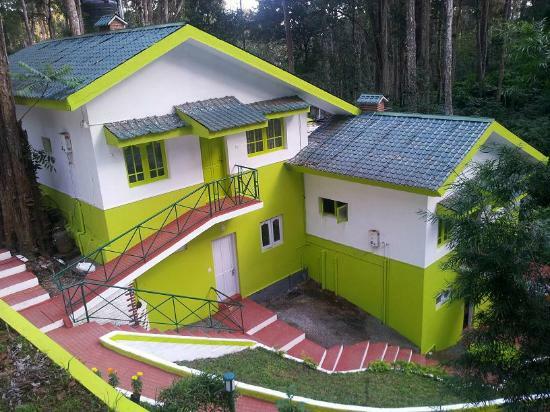 All these hotels and resorts will offer you various packages like honeymoon packages, family packages etc and will help you to explore Munnar in a perfect way.